The central government’s Minimum Indicative Export Quota (MIEQ) of sugar for the 2018-19 season seems unlikely to be met. 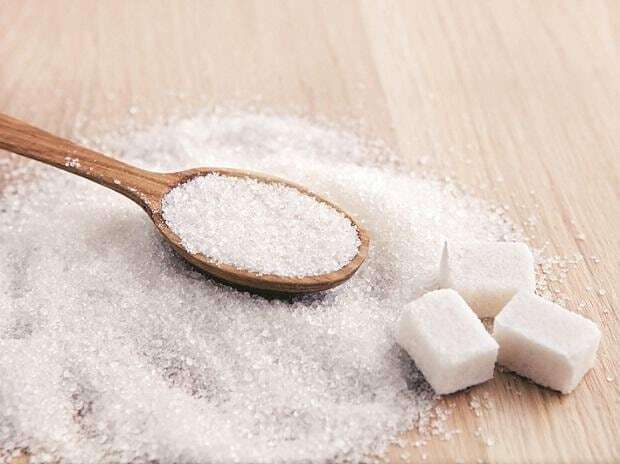 Of the 1.25 million tonnes (mt) of average MIEQ quota set for the October-December quarter, sugar factories have contracted for only 600,000 tonnes — and exported only 246,000 tonnes so far. Of the 2 mt the government had similarly fixed for 2017-18, the mills had exported only 400,000 tonnes, a fifth of the official hope. 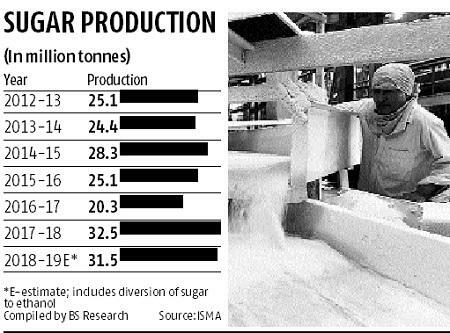 Sugar factories face several obstacles in export orders. The Brazilian currency (they compete with us) is falling and with a sustained fall in global prices, this makes shipment from India less remunerative. Also, the government releases the subsidy amount at the end of the season. That means working capital being clocked for the year, on which mills pay interest to lenders. “If the current (quarterly export) trend continues, achieving five mt looks impossible,” said a senior industry official. At the beginning (officially October 1) of the crushing season, Indian Sugar Mills Association had forecast 4-4.5 mt of export. Less of export would add to the domestic supply glut. Apart from 10 mt of carryover stock from the earlier season, total output is estimated at 31.5 mt. Annual Indian consumption does not exceed 25.5 mt. “Sugar prices have fallen 11 per cent at the benchmark Nybot and Liffe exchanges in the past two months. Also, the rupee appreciated and the Brazilian real depreciated in the past two months, making export from Brazil more competitive. Despite these odds, mills are expected to start dispatches by the end of December,” says Praful Vithalani, president, All India Sugar Traders Association. Prices at Nybot have declined by 11.4 per cent to trade currently at $12.30 a pound. At the Liffe market, the near-month contract is being quoted at $339.7 a tonne, a tenth less than the $379 a tonne traded two months earlier. An opening stock of 10.5-11 mt, with production of 31.5-32 mt, means availability of around 42 mt in the domestic market, a sizable surplus. Meanwhile, the central government has warned mills to hasten export or face action. A notification this week from the ministry of food has told them to deduct the equivalent quantity unexported from their permissible quarterly stockholding limit.